STAFF (2019-03-01). Donald Trump Blew His Chance at a Deal With North Korea. truthdig.com We may never know why the denuclearization talks collapsed, but the president appears to have bowed to the hardliners in his cabinet. STAFF (2019-03-01). North Korea Says Trump Overstated Kim's Demand on Sanctions. truthdig.com Officials maintain the Supreme Leader sought only partial relief, and that he was willing to commit to a permanent halt on missile testing. RT (2019-03-01). 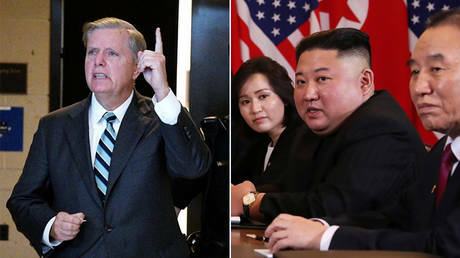 'Time to end the nuclear threat': Graham hints at war hours after Trump-Kim summit stalls. rt.com Sen. Lindsey Graham is already saber-rattling at North Korea less than a day after President Donald Trump and leader Kim Jong-un ended their summit amicably without a signed agreement. Graham, it seems, doesn't handle peace well. Michael Steinberg (2019-03-01). More Nukes Shutting Down. indybay.org Bad weather and bad business force nuclear plants to shut down. Jon Schwarz (2019-02-28). 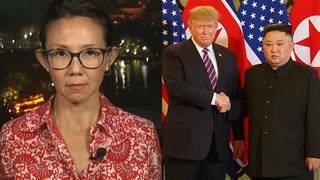 Breakdown in Hanoi Summit Shows the Real Danger on the Korean Peninsula: Donald Trump's America. 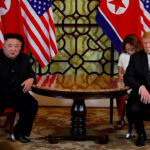 theintercept.com The best we can hope for is the U.S. and North Korea eventually come to an accord, and the Trump show is canceled before we stumble into nuclear war. RT (2019-02-28). 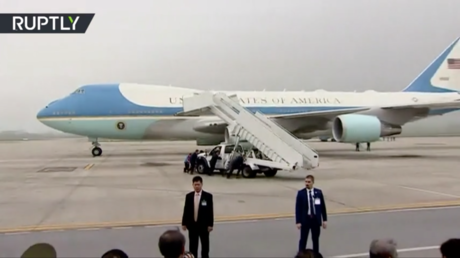 Trump's exit from summit with Kim delayed… because of broken down stair (VIDEO). rt.com As US President Donald Trump prepared to make a rather hasty exit following a no deal at the highly anticipated Hanoi peace summit with North Korea, an unexpected malfunction added insult to injury. RT (2019-02-28). The art of no deal: Why can't Washington reach agreements with…anyone? rt.com The much-anticipated second summit between Donald Trump and Kim Jong-un was cut short this week, with both leaders leaving Vietnam early before an expected signing ceremony. Sometimes you just have to walk away, Trump said. WSWS (2019-02-28). 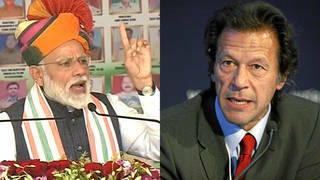 Nuclear-armed India, Pakistan on brink of all-out war. wsws.org Pakistan announced Wednesday that it had struck targets in India after India carried out a large-scale bombing raid deep in Pakistan on Tuesday morning. Democracy Now! (2019-02-27). 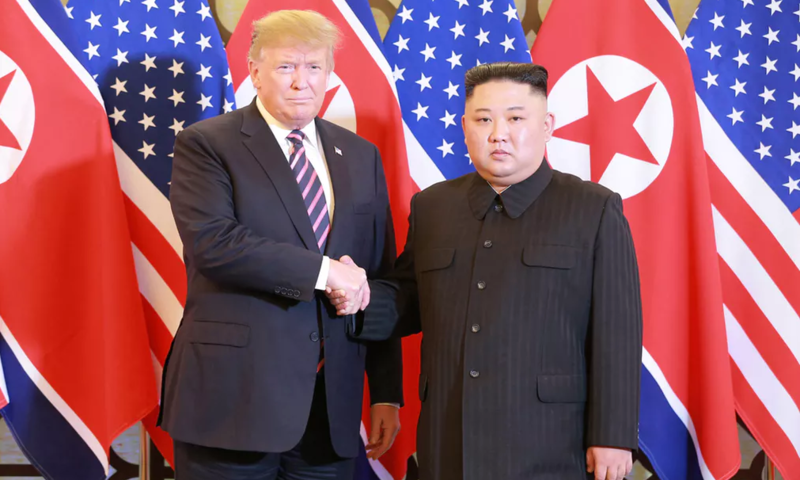 Disarmament Expert on N. Korea Summit: An International Process Is Needed to Reduce Nuclear Threat. 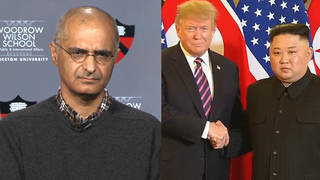 democracynow.org President Trump is meeting with North Korean leader Kim Jong-un today in Vietnam in their second summit to discuss denuclearization of the Korean Peninsula. We speak with physicist, nuclear expert and disarmament activist Zia Mian. He is co-director of the Program on Science and Global Security at the Woodrow Wilson School of Public and International Affairs, Princeton University. He is the co-author of "Unmaking the Bomb: A Fissile Material Approach to Nuclear Disarmament and Nonproliferation." RT (2019-02-27). 'I worry': Top US nuclear general concerned about new Russian weapons, future of arms control. 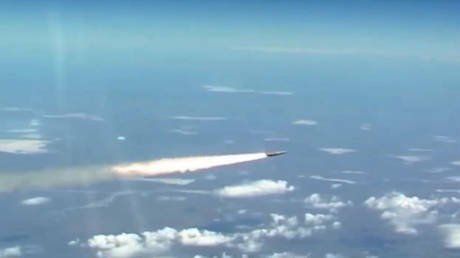 rt.com Head of the US Strategic Command cited new Russian hypersonic missiles and other weapons as reason US must invest billions in nuclear modernization, and hinted at scrapping the last remaining arms control treaty with Moscow.